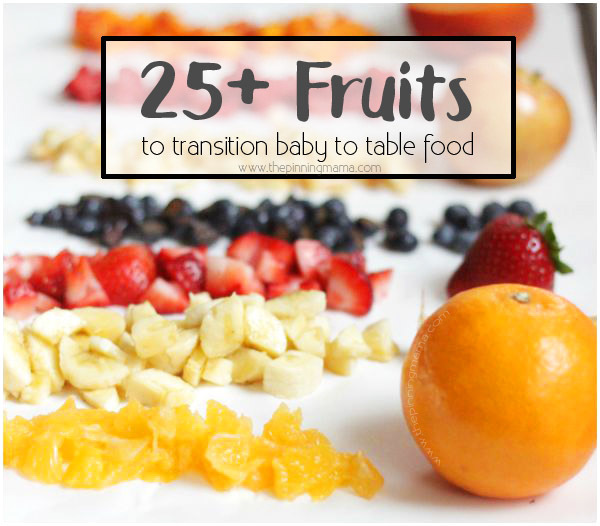 Tips on how to transition your baby from pureed baby food to table foods, including great options for fruits you can use as finger foods. 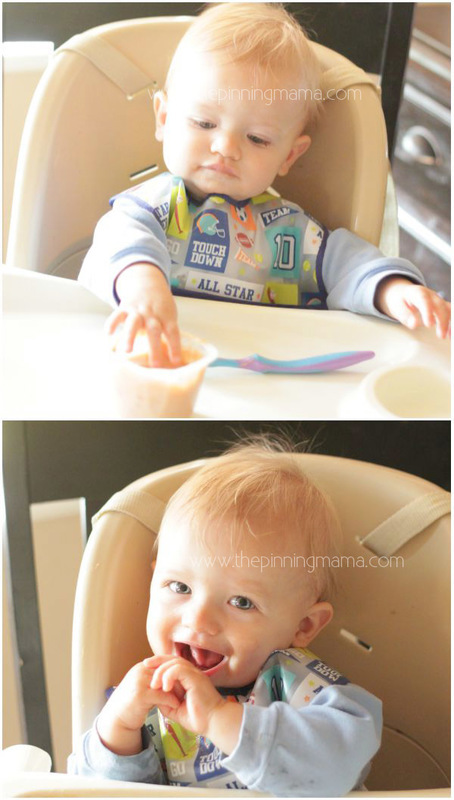 A few weeks ago I shared with you a lot about my three kids and how each of them was really different when it came to learning to eat table food. They did have two big things in common though, it was never easy, and they all eventually got the hang of it! No one ended up starving and none of them will end up going to prom with a bottle! I remember my mom telling me when I was very small, they gave me apple juice and then I refused to drink anything else for a pretty long period of time. As a matter of fact, my mom had to go buy more apple juice before she went to the hospital when she was in labor with my little brother. One of the fun thing about fruit is that it is like nature’s candy. It is naturally grown soft, sweet, and extra delicious which makes it perfect for new eaters. Just like their mama’s little obsession, all of my kids have really loved eating fruits and it has been a great way to introduce them to many new flavors and textures. 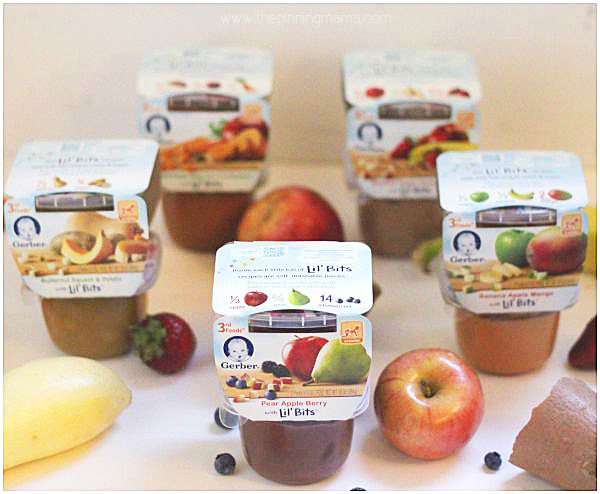 There are so many varieties of purees available it makes it easy to start baby with a great variety of flavors right from the start of beginning your baby with solids. 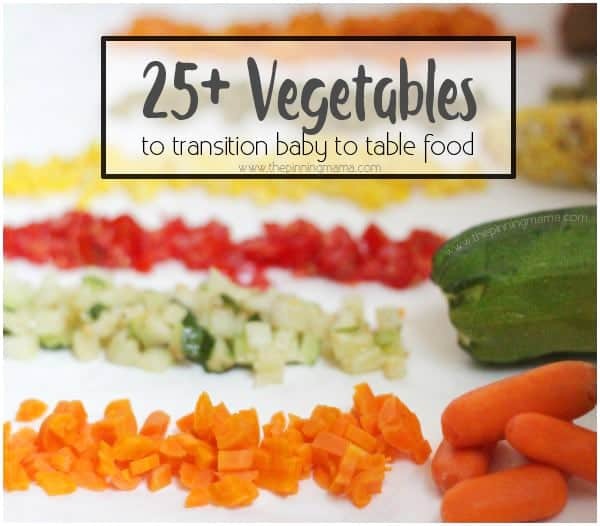 Moving from pureed food to table food can be tricky with many kids since there is such a huge change in texture. Gerber 3rd foods make a great stepping stone for that transition and has helped me a lot with my 10 month old! Since I am a bit of a researcher by nature I tend to look for reasons why things are so I can make a plan. Since transitioning to table food was always a challenge for my kiddos I love these tidbits from studies that helped me understand how I could better help them learn to eat. As older babies develop side to side movement of their tongue they can begin to move small, soft pieces of food to their jawline for mashing, the early skills of chewing. Children who have not been exposed to “lumpy food” that require mashing and chewing before 10 months of age have experienced difficulties transitioning to more advanced foods. Introducing pureed foods with advanced textures at the Crawler milestone is highly recommended for children to explore and feel multiple textures within the mouth without having to manage numerous separate food components. Adding in a step between purees and finger foods makes perfect sense and can really encourage development. Gerber 3rd foods offer a great transition food that allows you to have the puree your baby is accustomed to with soft mashable bits in it that help your little one to master the developmental milestones. 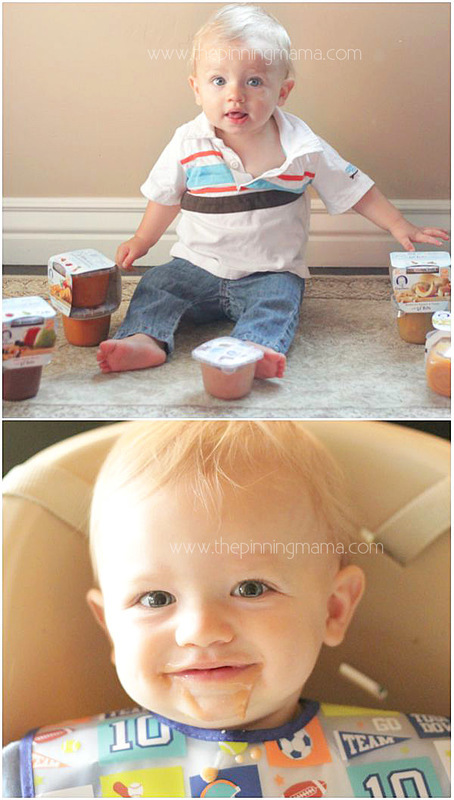 I was really impressed with all of the thought and science that went into just making baby food! 80 experts spent over 120,000 hours on product development for Lil’ Bits recipes. The experts analyzed over 20 hours of video footage and spent 150 hours of analysis and coding on chewing and mashing. They even did over 80 taste tests with 700+ samples to find the combinations of flavors that babies liked best. Who knew that so much science and analysis went into making baby food! I am glad it did though, because it is perfect developmentally for my little guy right now and he did love the Apple Blueberry he ate for breakfast! As baby starts to learn to master chewing it is always a great idea to introduce finger foods. Fruits are some of my favorite finger foods since many of them are naturally soft and mashable you can skip the cooking you have to do with many vegetables and just chop up very ripe fruit. Total time saver! I like to slowly start introducing these when baby is developmentally ready, but still eating the purees like Gerber 3rd foods so I know they are getting full and the needed nutrition from the purees but they still get to practice on their pincher grip and coordination that will help for self feeding down the road. Plus the introduction of all of the new flavors and textures helps your baby start to expand their palate and adjust to them. Here is a reference list of fruits I like to use with my kids. Always remember when you have questions about your child’s nutritional needs or allergies, consult with your child’s doctor first. Also, as a baby learns to eat, all foods offered should be very soft (can be easily mashed with your fingers) and offered in extremely small pieces so that there will be no choking hazard. You should always consult your baby’s pediatrician before introducing new foods to your baby. It is important that you avoid any suggested foods that may pose an allergy risk for your baby since all foods have the potential to be an allergen. « 2015 Favorite Things + GIANT Giveaway!